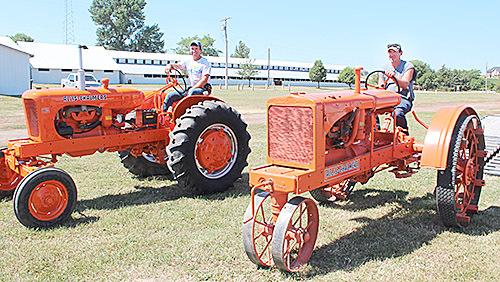 Antique tractors owned by the Brugger family were on display at the fair. Overall attendance was higher this year for the Boone County Fair, according to fair board officers. Boone County Ag Society met Monday night, July 17, to review the 2017 fair and begin planning for next year’s fair, which will be held July 7-11, 2018. Attendance for the Saturday night concert of Easton Corbin and Runaway June was near the 3,000 mark, with more general admission tickets than last year. Tina Henn said the concert committee needs a budget in order to begin planning for next year’s concert. The 2017 concert finished with a profit when both ticket sales and concessions are considered. The fair board approved a $45,000 concert budget for 2018 with a provision for a moderate increase if needed. 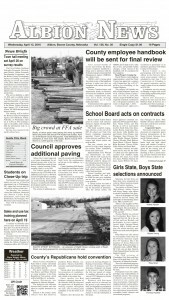 The Sunday night tractor pull attendance was estimated at 500 to 600. • Wednesday night Sprint Series of Nebraska, Limited Late Models, IMCA Sport Mods and IMCA Sport Compacts, 2,000.